The Soothe product line formulation consists of equal amounts of CBD and THC. The balanced cannabinoid content, coupled with terpenes such as Terpineol and b-Caryophyllene, may create a euphoric feeling. 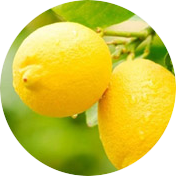 d-Limonene, b-Myrcene and a-Pinene are recognized as anti-carcinogens. 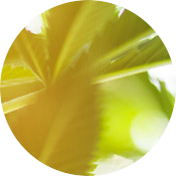 The Soothe product line formulation consists of equal amounts of CBD and THC. 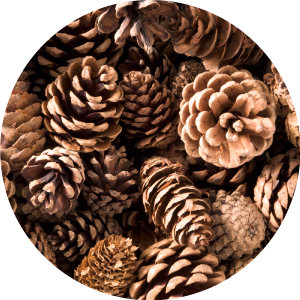 The balanced cannabinoid content, coupled with terpenes such as Terpineol and b-Caryophyllene, may create a euphoric feeling. d-Limonene, b-Myrcene and a-Pinene are recognized as anti-carcinogens. Cannabis oil, naturally derived terpenes, coconut oil, natural blueberry and almond extracts. This is my 3X Daily “Go-To” oil to help me fight a Cancer problem. 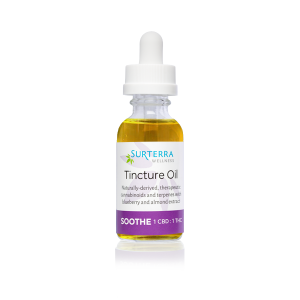 I love the ease of use the tincture oil provides, the taste is very pleasant and it also “takes the edge off” as a side benefit. I have been successfully battling cancer for over a year now and this is a very important part of my holistic regimen as the CBD/THC blend has been shown in tests to help the body’s immune system fight and destiy cancer naturally. I don’t leave home without it… I use the 20mg/day Soothe 1:1 ratio 3 to 4 times a day (about 12/15 drops ea time) or about 1ml/day (one eye dropper full) (I’m 6’+/200lbs). For a cancer battle, the oil is added ammunition for the bodies immune system. I highly recommend it! This really helps me with my anxiety and stress. I can actually drive in heavy traffic now without getting anxious or fed up. If u get my drift. That said I’ve never had a problem opening it. This time I couldn’t get it open. And when I finally did the stopper tube went one way, the stopper the other and all the product from the top to the top of the label went all over me and the kitchen. The stopper bent so it screws on crooked. Because of that I won’t be able to travel with it. Otherwise it’s a great product. I enjoyed the 1:1 tincture very much – tastes a bit floral or fruity. Helps fairly quickly with leg pain during the day without hindering concentration for other activities, and can always take more or less depending on the situation. I gotta say this, I’m currently still somewhat experimenting with different combinations of the tinctures. As of 10/01/18 I realized that there’s a lot more to the Soothe Line of products than what I thought. I’ve been experimenting alot with the relief line which is a 1 to 9 ratio meaning to every 1 part CBD there’s 9 parts THC. I couldn’t put my finger on why I wasn’t getting the acute Chronic Pain relief that I thought I should’ve gotten. Now, the reason being for this short review is to briefly explain my personal experience so far with this product. With that being said everyone is built differently so our experience may be subjective to my personal experience. Relief Line is a great product but in my case it also has it’s place in it’s usage for me, great nightime before bed product. Now on to the Soothe Line I’m experiencing from 20 mg 1 to 1 ratio of CBD to THC Tincture. So, after my very first dosage it was and is a GREAT daytime tincture being very well balanced with the terpine profile. Right out of the gate though I was feeling a huge relief and have been since yesterday. I’m getting quite a bit of pain relief has gotta be due to one of the many benefits of the terpine profile which for me are a great decline in both my legs due to superficial vericous veins, deep vein thrombosis which has caused walking,standing, etc…very complicating. This morning about 30-45 minutes after my first dose of the day oddly enough I’ve been able to walk with bare minimal pain in both legs which compared to a week ago is a huge difference in the acute Chronic Pain that I’ve had since my last blood clots. Which was in 2008. My mind also seems to be much more focused and clear. I feel seeing how I am now down to 2 Oxys a day from 5 and 1 Zanex from 4 a day. Now the Opioid cutback has been a long tough work in progress,that in itself is a major accomplishment for me. Back to Soothe another benefit for myself is one thing that I’ve literally not experienced due to a pretty extensive medical condition along with PTSD or vice versa. Drum roll… I feel so good and I’ve gotten back energy not a burst of energy but energy throughout the whole day today. I was walking, talking and feeling like I haven’t felt for years. Crazy as it sounds I feel like I’ve been revived. For me I’ve found in just a very short experimentation with different products that Soothe is my daytime tincture. I can’t say enough I’ve only been a active patient for right close to 4 months and I’m finding my own personal dosage that works for me so far. Again my experience so far is Soothe during the day, and relief line before bed. I’ll post a review of the night time line later on. Actually just dosed for bed time and I’m winding down nicely very relaxed and ready to just top everything off to end my day and night with 3 hits off of one of the vape products which I’ll also get around to doing. BTW the Natural Blueberry is just a little plus taste great and I’m out for the night. Thanks for reaching hopefully I’ve been able to give someone hope that may be in worse condition and is ready to throw in the towel. Please don’t give up !! 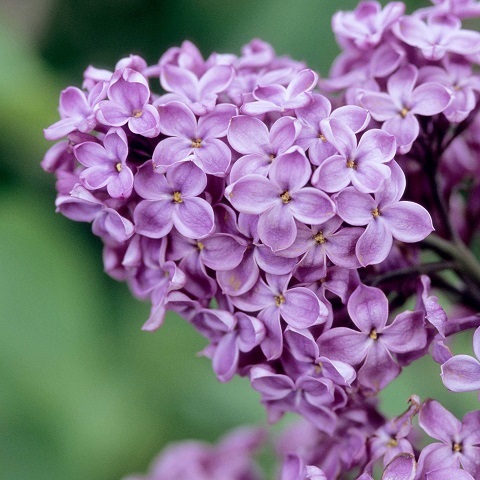 I pray you find your right combination until we get full access to the whole plant and all of its wonderful benefits. While I really like this ratio in the vape pen, the Soothe Oil has an unpleasant blueberry flavor. I could do without added flavoring. 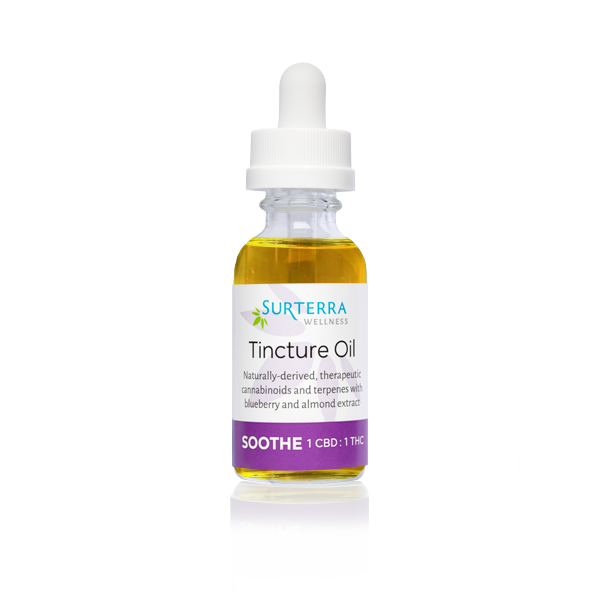 It would be great if Surterra had oil products with its natural cannabis flavor.